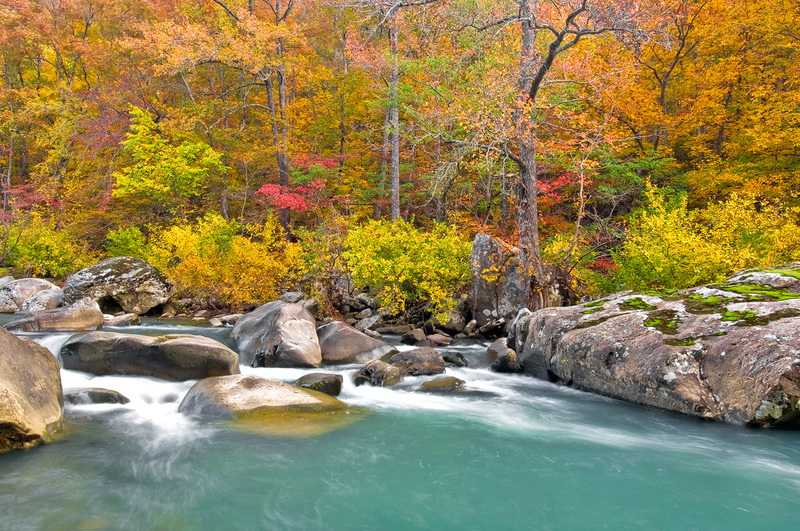 Beautiful green water flows through this wilderness area in autumn. Arkansas Nature Photography. Photo © copyright by William Dark.